LoA_Compete for Isolde in Angel Exclusive! Description: Take your favorite Angel with you! 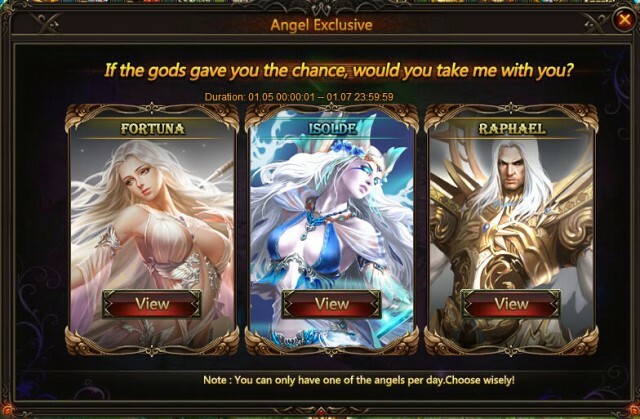 In the Angel Exclusive there are 3 Angels, Fortuna, Isolde, Raphael waiting for you! Which Angel do you want to join your world? 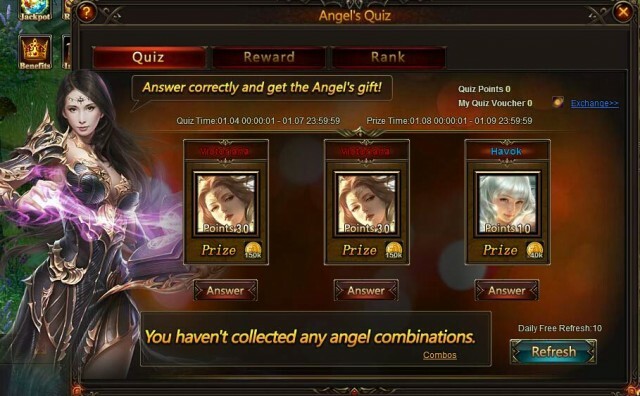 Choose one angel and complete tasks, then you can take him/her into your team! Description: Meet certain achievements to gain Raphael and swap Angel Bonus Card for bonus in later event: Angel Exclusive. 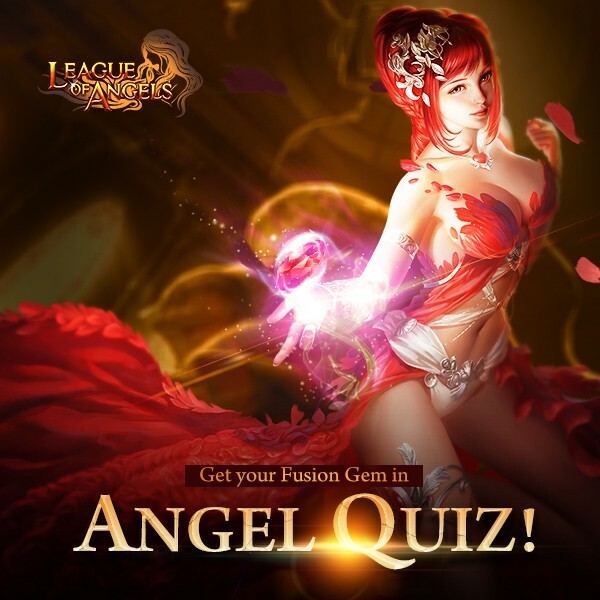 Description: - Click on the Angel's Quiz icon on the left of the game window to open the event menu. More exciting events are coming up through Jan. 5 to Jan. 7, check them out in the in-game How Events menu now!